Hardman Signs can create the restaurant signs that you need to increase your company's visibility. Our trained staff of designers, project managers and fabricators ensure that the restaurant signage design and manufacture process is completed according to your specifications and budget. Located in Texas and Georgia, we create signage - including digital and printed graphics, ADA signage and menu boards - for clients across the South and Southwest, and we're known for the quality and the affordability of our Houston restaurant signs, Austin restaurant signs and Atlanta restaurant signs. The restaurant signs personnel of Hardman Signs design and manufacture both traditional and illuminated restaurant signage, menu boards and displays, exterior lighting and more. Our designers will conceptualize the signage, engineers will seamlessly manufacture it and our project managers will oversee the project to ensure a smooth start-to-finish process. 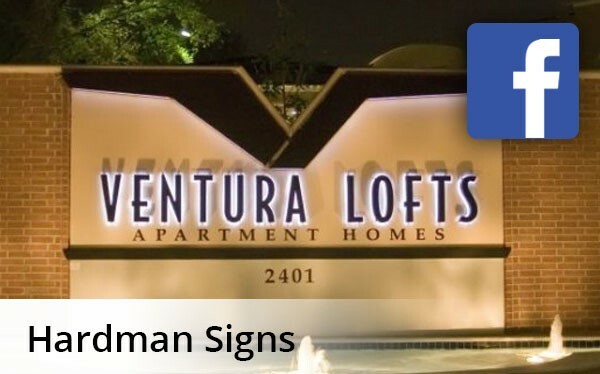 Contact us for durable and high-quality restaurant signs by filling out our no-obligation quote form or calling us Hardman Signs today with your requirements. We look forward to working with you.